We have no plans to be leaving the kids with anyone other than grandparents any time soon, but just in case, I wanted to have an emergency contact sheet done. In fact, I thought its probably worth giving the grandparents too. So there are a TON of them out there... but of course I wanted to make my own and I am obsessed with Picmonkey... so I did one for myself. This one had all the elements I thought necessary and nothing extra or complicated. 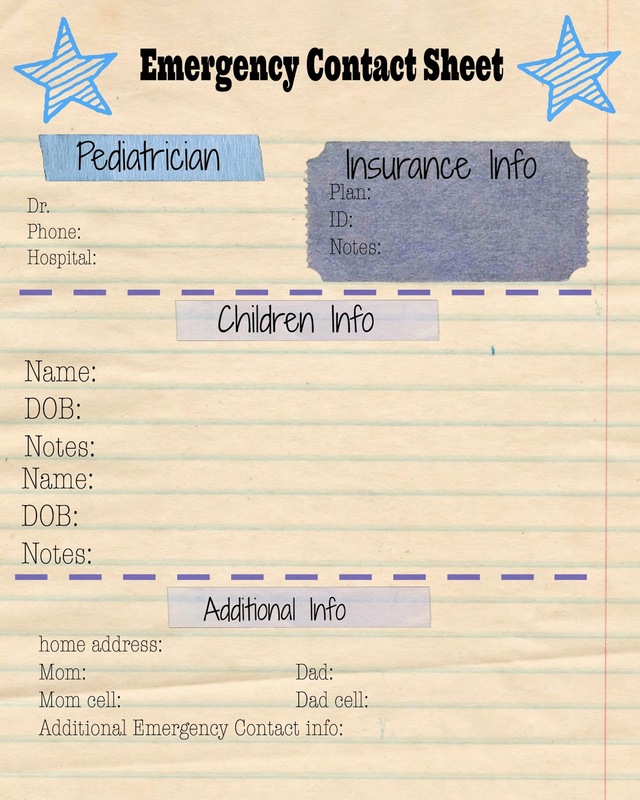 I felt like the real important items are parent contact information and insurance plan info. If there is an emergency I want someone to call 9-1-1 and me. No wasting time with poison control first or non-emergency numbers. The blank version is free to download - if it fits with what you need. We'll be hanging this in one of our kitchen cupboards and taking a copy to the grandparents house. Enjoy! I'll let you know if we ever actually have a baby sitter and need a sheet like this.